Melissa Sims is the Chief of Human Resources for the Northeast Region of the National Park Service and a Philly SHRM Thought Leadership Committee Leader. Melissa is a graduate of the United States Military Academy at West Point and holds both a Masters in HR and an MBA. Melissa can be reached via her LinkedIn profile: https://www.linkedin.com/in/melissa-sims-21b63247. For more information on our new Thought Leadership program email us at thoughtleader@phillyshrm.org. Become a Thought Leader and get your professional HR opinion heard! 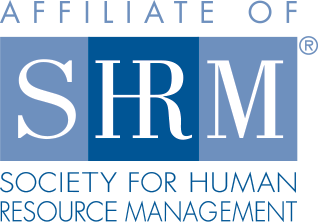 On March 29th and 30th Philly SHRM held its 2017 Symposium at the Sheraton Philadelphia Downtown Hotel, less than two miles from the Liberty Bell and Independence Hall. With over 500 attendees—a record number–and a wide-range of speakers and exhibitors in the name of education, motivation, and fun, the 2017 Philly SHRM Symposium truly lived up to its theme this year: Ignite your influence. The program featured a keynote presentation, a general session and nine concurrent speaker sessions on the day of the symposium, and an evening welcome reception March 29th. Dr. Jonah Berger, Wharton School of Business professor and best-selling author, kicked off the event on Thursday with his keynote presentation on the forces that shape behavior. Drawing from research in the realms of business and social science, Dr. Berger shared tips and techniques on leveraging communication, cultural interaction and relationship building to transform the way that we lead and make decisions. After this rousing start, participants were able to choose from three breakout sessions: The First 100 Days, The Employee Engagement Landscape: Championing Greatness or Capturing Mediocrity or Inside the Mind of your C-Suite: Mastering the Language of Top Management. Between various speaker and breakout education events, participants engaged in high energy networking with each other and with past, present and future Philly SHRM board leadership, representing military veteran initiatives, education and workforce development platforms. For the final breakout session, participants chose from three additional presentations: Dear Helga Returns: with new and more complicated HR issues, The Millennial Shift and Effective Workplace Communication: Promoting Success Through a Culture of Trust and Belief presented by Laurie McIntosh, Director of Membership for SHRM. The original Phillie Phanatic and self-proclaimed Emperor of Fun and Games, David Raymond, closed out the day by challenging participants to customize his laws of fun (captured by the acronym F-U-N) in order to customize their own culture of serious fun. At the end of his presentation, Phoebe Phanatic made a special appearance and helped to close out the day in the most special way. Charity Hughes, PhD, 2017 President of Philly SHRM, speaking for the entire board and everyone who worked tirelessly; “…cannot thank our sponsors, members and friends enough for making this 2017 Symposium one of the most successful ever! We would also love to hear from anyone on ideas to make our next symposium even better, so please contact us at info@phillyshrm.org. We want to know what our attendees liked and what they would suggest as improvements for 2018!” Charity said. Be sure to check out the website to see photos from the day and be sure to watch your inboxes for information on 2018 premiere conference that connects Business and HR!